Canada’s looming legalisation of recreational weed looks to have sent the blossoming pot space into fever pitch. Pot producers, retailers and investors alike are all hoping to claim a slice of this (freshly baked) pot pie. Even Walmart’s Canadian arm is investigating possibilities for selling pot-infused products. According to recent data by Genesis Market Insights, the global cannabis market was valued at US$17.18 billion in 2017 and is projected to reach US$58.9 billion during the forecast period of 2018 to 2023. The US and Canada control the majority of that global market — but unlike Canada, the US hasn’t legalised the drug nationwide. By 2020, the Canadian pot industry is expected to reach C$6.5 billion — larger than the hard liquor market and almost as large as the wine market, according to CIBC. With that in mind, in the lead-up to October 17, here are five Canadian pot-stocks that are blazing trails. Beginning with the pot-stock du jour that’s seen ample recent publicity, Tilray has become a veritable poster child for the nascent legalised cannabis industry. Since trading at US$17 per share on July 18 for its IPO on the NASDAQ — the first US cannabis IPO — Tilray’s shares have rallied as much as 1600%. Its share price is currently sitting at US$131.95, but shareholders have been on something of a wild ride — pot-stocks are nothing if not volatile. Tilray currently serves tens of thousands of patients, physicians, pharmacies, governments, hospitals, and researchers in eight countries, spanning four continents through its affiliated entities in Australia and New Zealand, Canada, Germany, and Portugal. In September, shareholders were abuzz when Tilray received approval from the Drug Enforcement Administration to import marijuana products from Canada to the US for medical research — a rare move. Tilray will provide cannabinoids for a study at the University of California’s Centre for Medicinal Cannabis Research on essential tremor (ET), a neurological movement disorder characterised by involuntary and rhythmic shaking. 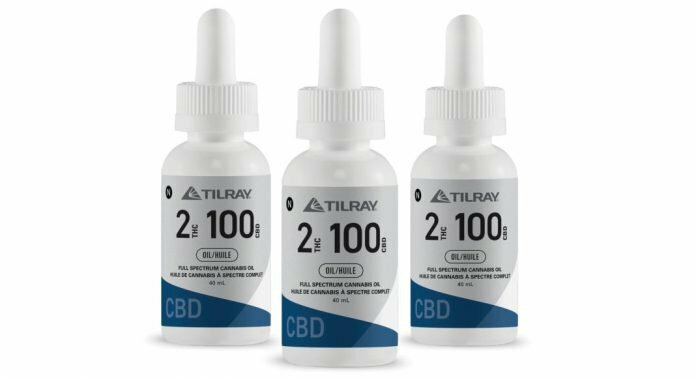 Tilray's product — a formulation of cannabidiol (CBD) and low-dose tetrahydrocannabinol (THC) — will be given to patients in capsule form. Cowen's Vivien Azer, the only major pot analyst from a major Wall Street Research house, has this week nearly tripled her 12-month price forecast on Tilray to US$172 from US$62. Another name that’s becoming synonymous with the legalised pot movement is Aurora Cannabis. The Edmonton-based pot-stock recently made headlines when reports circulated that it was in discussion with Coca-Cola (NYSE:KO) to create a CBD-infused health drink — one of the most explicit indicators thus far of weed’s acceptance into mainstream culture. As of late September, Aurora had eight licensed production facilities, five sales licenses, and operations in 18 countries, and funded capacity of over 500,000 kilograms of pot production per year. Like many other weed companies, C$12.01 billion-capped Aurora has been scrambling to increase its production capacity to meet the high demand forecast. This has seen Aurora acquiring a number of smaller players in the market. In the past two years, it’s bought at least 10 companies. After its C$1.1 billion acquisition of Cannimed earlier this year, Aurora closed one of the biggest legal pot deals ever, acquiring another medical cannabis company, MedReleaf (TSE:LEAF), for C$3.2 billion. In another move that fuelled pot-stock momentum, Aurora inked a C$290 million deal to acquire ICC Labs Inc. in September. Vancouver-based ICC has more than 70% of the market share in Uruguay, which was the first country in the world to legalise recreational cannabis. It also holds Colombian licenses to produce medical marijuana and has an agreement to export cannabidiol products to Mexico. The company’s current and under-construction facilities will bring its production capacity to an estimated 450,000 kilograms per year. It seems like this aggressive acquisition strategy is paying off. 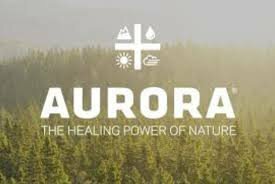 Aurora’s sales were C$16.1 million in the third quarter and C$19.1 million in the fourth — and for the full financial year, its revenue was C$55.2 million, up 206% from one year ago. Aurora also has its sights set on an NYSE listing, which would open the door for more institutional investors. Chances are, you’ve read about Ontario-based Canopy Growth before. Not long ago, it became the first pure-play pot-stock to carry a large-cap valuation (that is, at least $10 billion). Back in August, Corona beer maker Constellation Brands (NYSE:STZ) infused US$4 billion into Canopy — the biggest investment in the industry to date, which saw Canopy shares rally more than 114%. C$14.07 billion-capped Canopy made weed history again this week, completing the first legal export of cannabis products from Canada to the US. The shipment was completed for the sole purpose of supporting medical research and development. Canopy operates 10 licensed cannabis production sites with over 2.7 million square feet of fully-licensed production capacity. Its offerings including oils and concentrates, soft gel capsules, and hemp, with a focus on treating chronic pain, seizures, muscle spasms, nausea, and loss of appetite. US$1.6 billion Cronos Group is a geographically diversified and vertically integrated pot-stock that operates within Health Canada’s Access to Cannabis for Medical Purposes Regulations and distributes globally. It produces dried cannabis and cannabis oils. Cronos’s decision to list on the NASDAQ earlier this year was a key catalyst to its ascent, exposing the company to more US investors and enabling it to leverage the positive developments of two other Canadian pot-stocks listed on US stock exchanges — Canopy and Tilray. 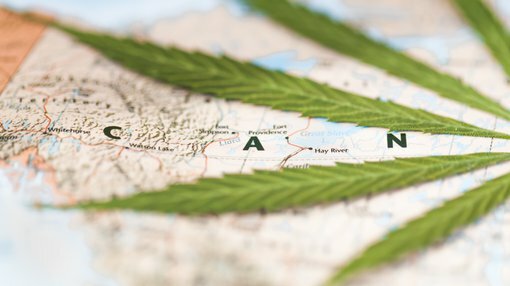 Cronos has clinched supply agreements with British Columbia and Ontario, which together hold more than half of Canada's population, and with Nova Scotia and Prince Edward Island. It’s also partnered with US weed retailer, MedMen, to launch retail cannabis stores throughout Canada. Other partners include high-profile companies like Cura Cannabis Solutions, Mucci Farms, and Pohl-Boskamp GmbH. Cronos has distribution partners across Australia, Israel, Latin America, Poland, and, critically, Germany — the largest international pot market outside of North America. In September, Cronos entered into a US$122 million partnership with Boston-based biotech startup, Ginkgo Bioworks, to develop cannabinoids using organism design and development technology. The partnership will research ways to make cannabinoids in a lab instead of from plants. Cannabinoids — the active ingredients that give the cannabis plant both its medically beneficial and high-inducing properties — look to be some of the most lucrative segments of the wider cannabis market. "Many pharmaceutically relevant cannabinoids are present only at very low quantities in the cannabis plant, making them economically impractical, difficult or impossible to extract at high purity and scale," Cronos said in a press release. C$4.89 billion Aphria is a vertically integrated pot producer based in Ontario. Like Canopy Growth, Aphria got its start supplying medical cannabis in Canada and is now rearing up for the impending recreational market. A few things stand distinctly in its favour. 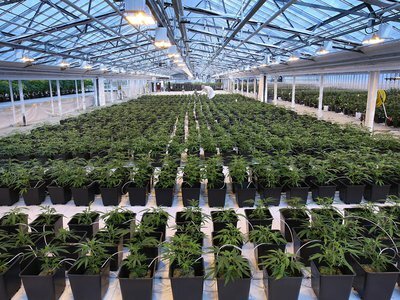 Aphria has supply agreements with every Canadian province, as well as with the Yukon Territory — reportedly more deals than any other pot producer and covering some 99.8% of Canadians. Aphria has 35,000 kilos per year of current capacity, with plans to expand to 255,000 kilos per year by 2019. On top of that, it has private supply deals that could add another 55,000 kilos per year of sales, and has extensive international operations spanning the Americas, Europe, Africa, and Australia. Aphria is also reportedly in discussion with Altria (NYSE:MO), maker of Marlboro cigarettes, which could be buying a minority stake in the pot-stock — this saw Aphria shares rallying more than 16% this Wednesday.